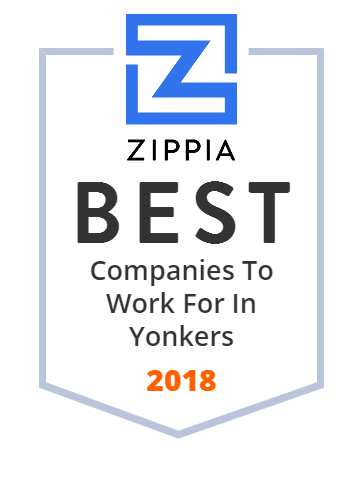 We hand-curated a list of the best companies to work for headquartered in and around Yonkers, NY using data on salaries, company financial health, and employee diversity. Yonkers Public Schools is a school district that serves all of Yonkers, New York, United States. 900404 Greyston Bakery was founded in Riverdale, New York, by Bernie Glassman, a Zen Buddhist. Houlihan-Parnes Realtors, LLC is a multi-dimensional privately owned real estate company founded in 1891. Yonkers Contracting Company, Inc. operates as an infrastructure construction company. It provides heavy construction, general contracting, and design/build services to public and private clients throughout the Eastern United States. The company s projects include highways, bridges, environmental, commercial/industrial, and rail. Yonkers Contracting Company, Inc. was founded in 1946 and is based in Yonkers, New York. Located in Yonkers,NY,Andrus nurtures hope,social and emotional well-being through special education programs and community-based mental health clinics. POP Displays USA, LLC manufactures POP displays for retail and consumer goods companies. It serves marketers and retailers in a range of industries, including beverages, check-out, confectionary, consumer, electronics, cosmetics, fashion accessories, food, fragrance, frozen, home and garden, office supply, paint, personal products, pet supplies, prestige, professional salon, software, sporting goods, tobacco, toys and games, vitamins, chain drug, DIY channel, and grocery, as well as category stores, department stores, mass merchandisers, office supply stores, specialty stores, and warehouse clubs. The company was formerly known as Diam USA and changed its name to POP Displays USA, LLC in July 1953. POP Displays USA, LLC was founded in 1953 and is based in Yonkers, New York with additional offices in New York, Atlanta, Bentonville, Chicago, Dallas, Orlando, and Tucson. CYBRA Corporation is a software developer, publisher, and systems integrator in the IBM midrange market. CYBRA provides bar codes, RFID, and RTLS systems for IBM Power Systems and other server lines and other major computing platforms, bar code label and tag printing, and bar code scanning systems. Find the best entertainment and food near you in Yonkers, NY! Empire City Casino offers video slots, poker, blackjack, and live horse racing. Wallico Maintenance Group, LLC offers stone and metal restoration and maintenance services to commercial and residential facilities in the United States. It offers maintenance services for architectural elements, including banisters, countertop, vanities, floors, statues, wall panels, and facade panels. The company also provides metal maintenance services include cleaning, polishing, and highlighting of various metals; architectural bronze, stainless steel, and aluminum refinishing; exterior metal curtain wall building facade cleaning and coating; application of high performance paints and coatings; and custom tailored metal maintenance programs. In addition, it offers EcoPolish services; and maintenance services for various stones that include granite, limestone, marble, onyx, sandstone, slate, terrazzo, and travertine. Wallico Maintenance Group, LLC serves office buildings, residential buildings, hospitals, houses of worship, synogogues, financial institutions, government buildings, hotels, restaurants, retail shops, schools, construction, historic preservation, and banks. The company was founded in 1968 and is based in Yonkers, New York. As of April 30, 2012, Wallico Maintenance Group, LLC operates as a subsidiary of A&A Maintenance Enterprise, Inc.
One of a kind museum framing, luxury mirrors and antique frame restoration services. Frame styles ranging from the 15th century to the present day and creating unique designs for our client's visions.